Astrophotography is a sub species of night photography that requires more specialized knowledge, more discipline, and usually more investment in time and equipment (i.e. cost!). 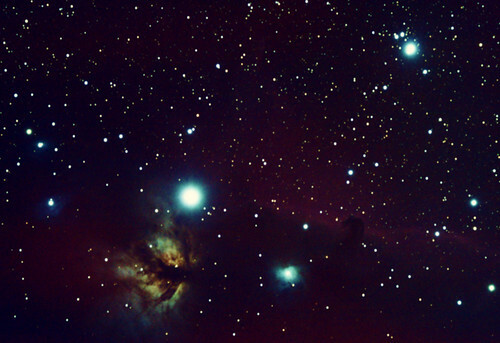 Those super cool pictures of nebula and galaxies do not happen by accident. 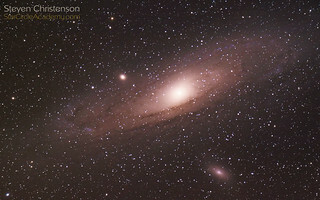 Astrophotographers also have developed their own curious language with terms like guiding, tracking, mounts, GEM, integration time, flats, bias, and dark frames. 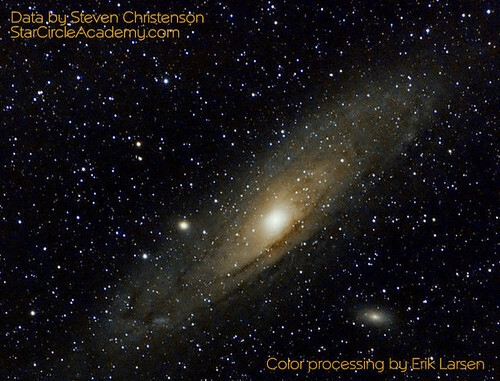 The goal of this course is to provide the background information a potential astrophotographer will need to get started on the best foot - at the lowest investment. Inexpensive solutions for equipment, mounts, software. 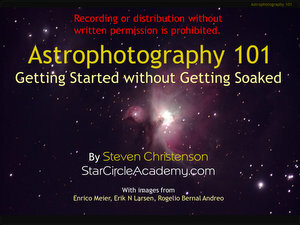 Note: If you're even moderately interested in Astrophotography, this class might save you from making 100s of dollars worth of bad investments. Please see IMPORTANT CONSIDERATIONS for things to consider before registering for this webinar. It is the same content sent to webinar participants. Here is a photo taken with a cheap equatorial mount, a Canon 40D, a 1.4 tele-extender and a 70-200mm f/4 lens (cost of the equatorial mount < $350). Note this image was taken in town with an 80% illuminated moon. Here is an image taken with a Canon 50D on an Orion Sirius Equatorial mount with at Orion 80ED refractor. The total cost for the mount and refractor is under $1500. This class is only held one or two times per year.